Wednesday 9th of december Sound Engineering will host another fun Jam Session! 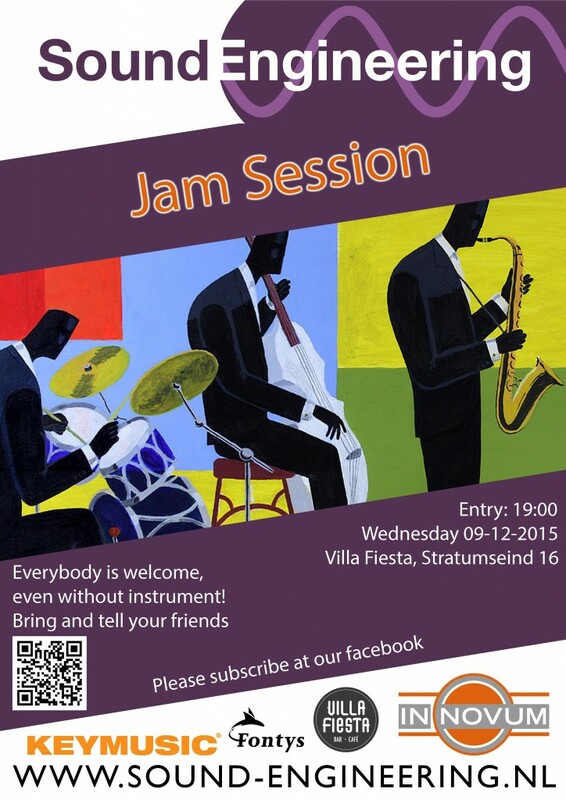 The jam session starts at 19.00 and takes place in Villa Fiesta at Stratumseind. Everybody can join, also when you dont play an instrument and/or are no sound engineer. You can also come and enjoy the music from others while having a drink. Keymusic Eindhoven has once again made a backline available for us. It consists of a drumkit and bas and guitar amplifiers. Also there will be a PA with microphones. Everybody and every instrument is welcome, tell your friends!